Those of us who feel ‘ahead’ regarding coming changes whether they be natural or manmade must remember to carefully watch diet, sleep patterns, thoughts and activities. It can be very hard on the body if we do not. We must also remember to sustain a certain amount of detached compassion and self protection regarding our personal energy. I will be offering an Internet Weekly Radio Show sometime next month. Would love to receive topic suggestions. Those of you who try, we honor you. We watch and notice your confusion and sorrow. This is the time when the awakened gather. Keep your eyes and ears open and speak only truth. You are the ones, not us. 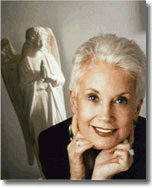 I invite you to visit my new web site: http://www.behealedforever.com .